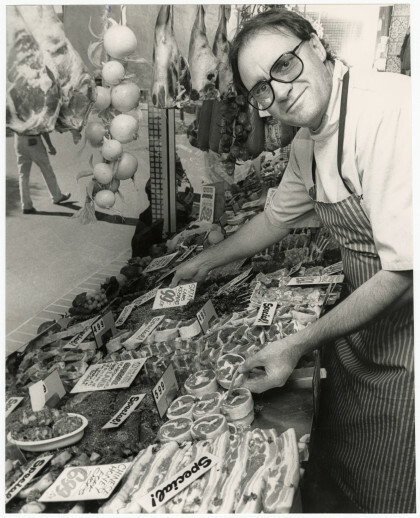 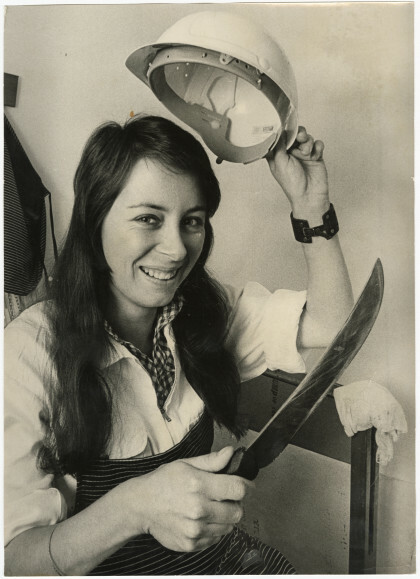 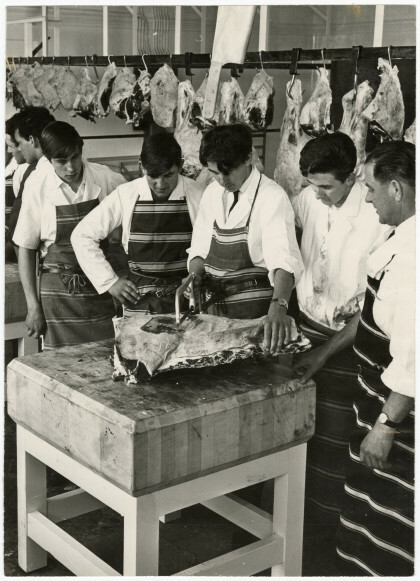 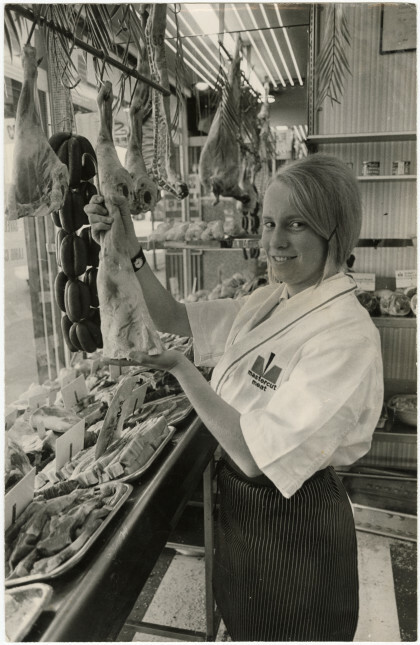 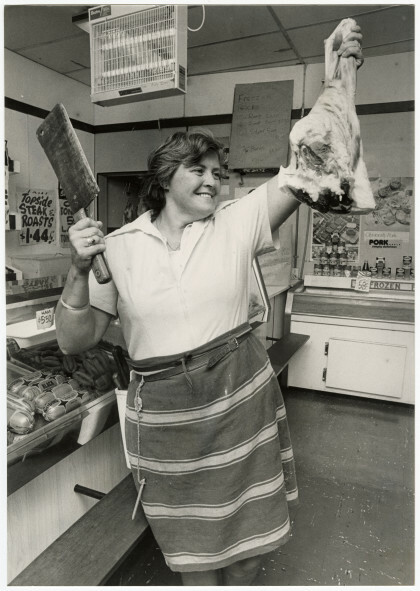 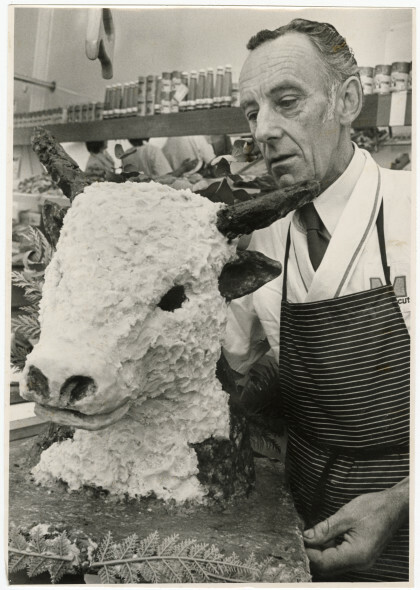 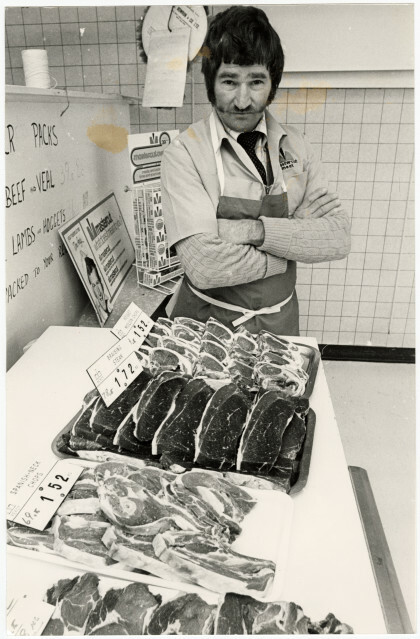 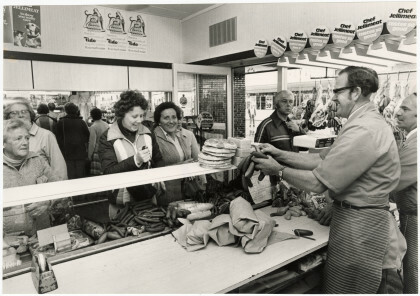 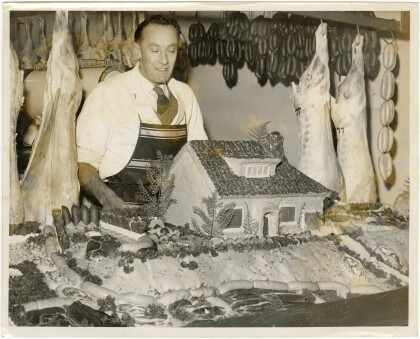 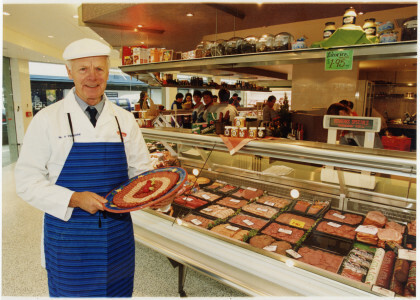 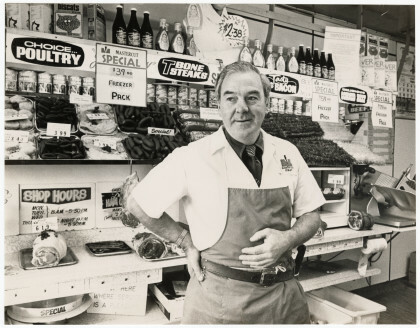 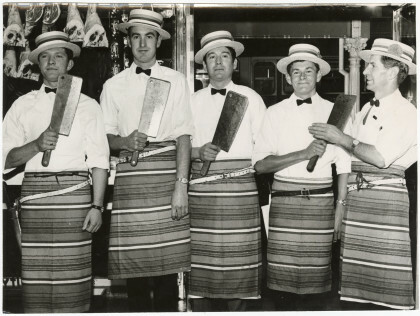 Les Grenfell in his butchery. 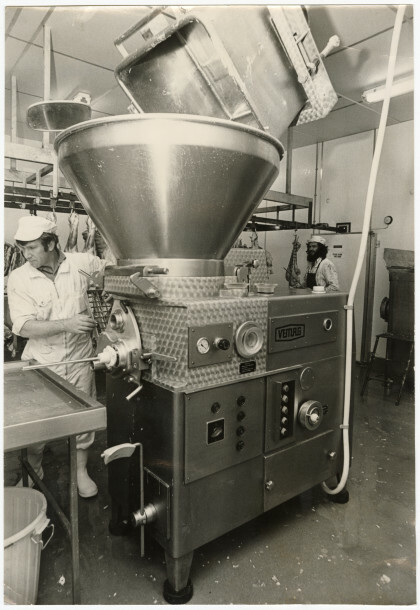 Vemag sausage machine at Shackel Meats. 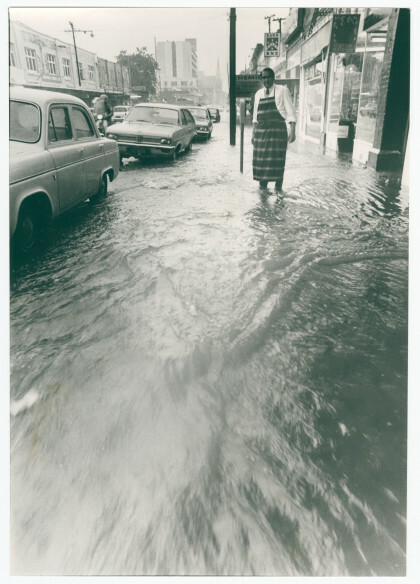 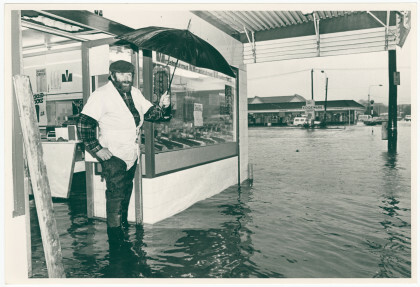 Alan Garner in flooded Andersons butchery. 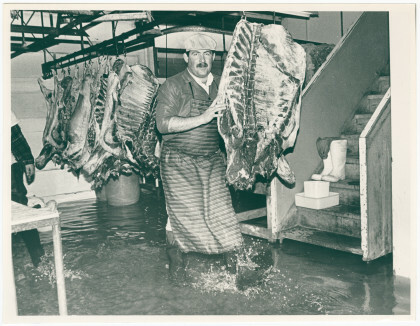 Russell Searle in his flooded butchery, Edgeware. 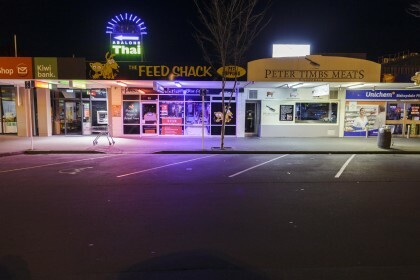 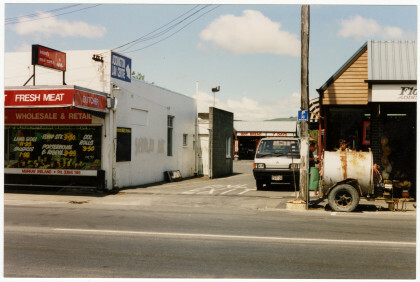 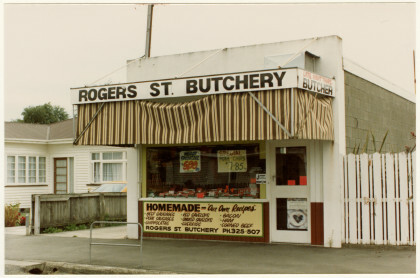 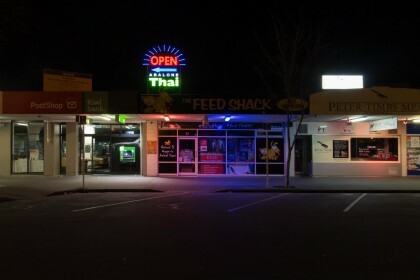 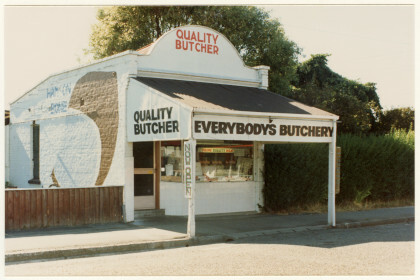 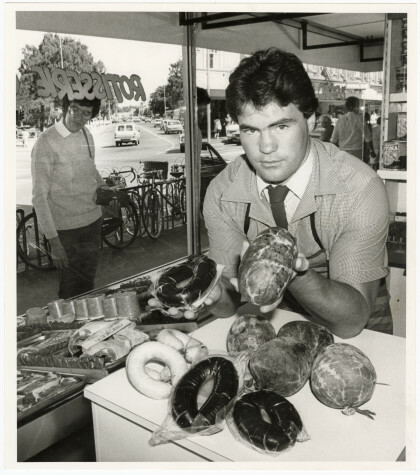 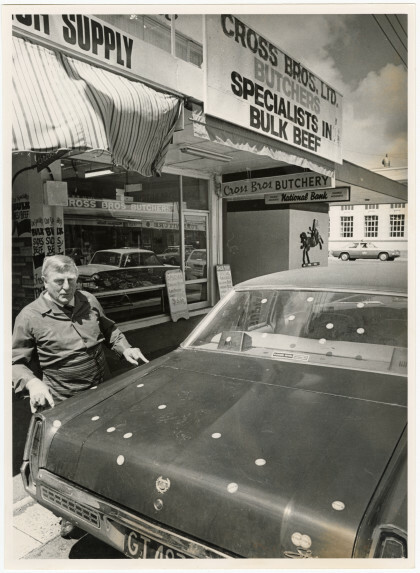 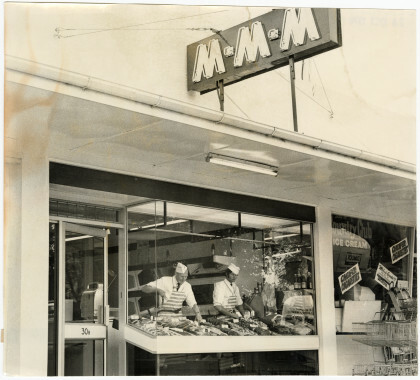 John Collins outside his Colombo Street butchery.